Translation is a difficult craft. Not everything makes the transition from one language to another intact. For example, the Italian “sprezzatura” is approximated in English as “studied carelessness,” but somehow, it doesn’t carry the same weight. Ferrari has been a good customer to world-class designers like Pininfarina, Zagato and Giorgetto Giugiaro, but for its anniversary celebration, the brand from Maranello is keeping things all in the family. 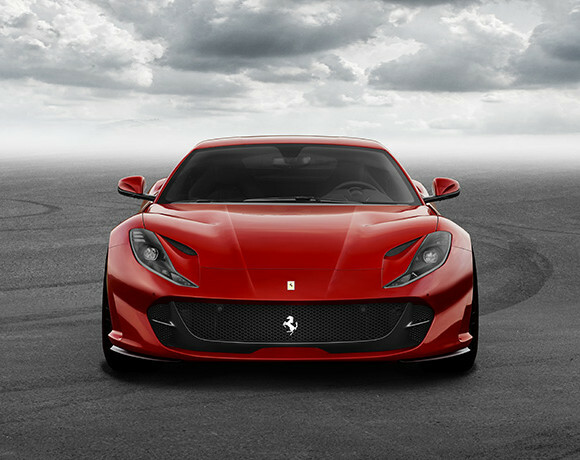 Styling for the 812 Superfast was penned at Ferrari’s own design studio. 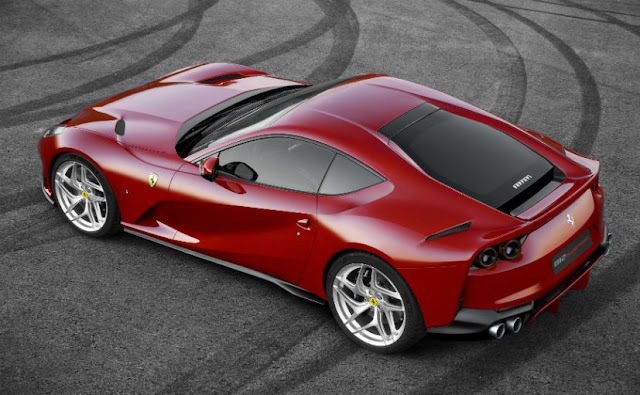 The car is a clear evolution of the F12Berlinetta. It borrows tail lights from the four-seat GTC4Lusso and uses more aggressive sculpting to set itself apart from the preceding model. 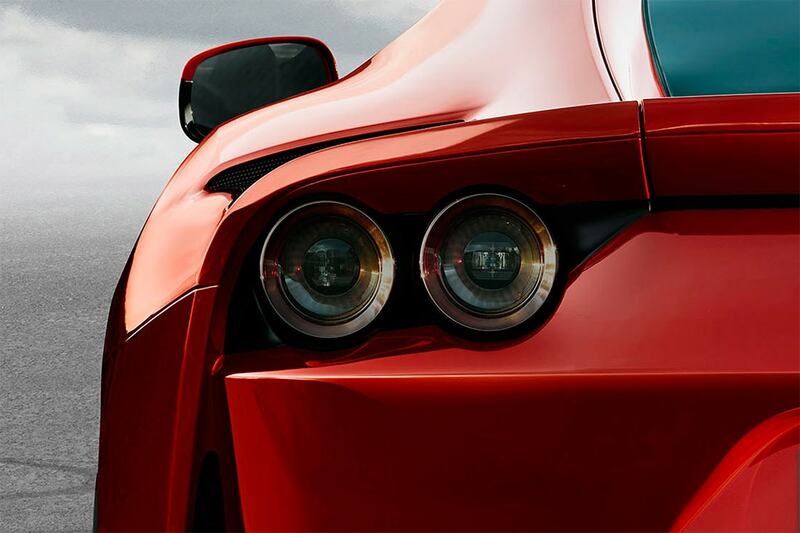 If you’re in the market for a front-engine uber-GT with all the pedigree and refinement to compete with the best in the world, you haven’t got many options. 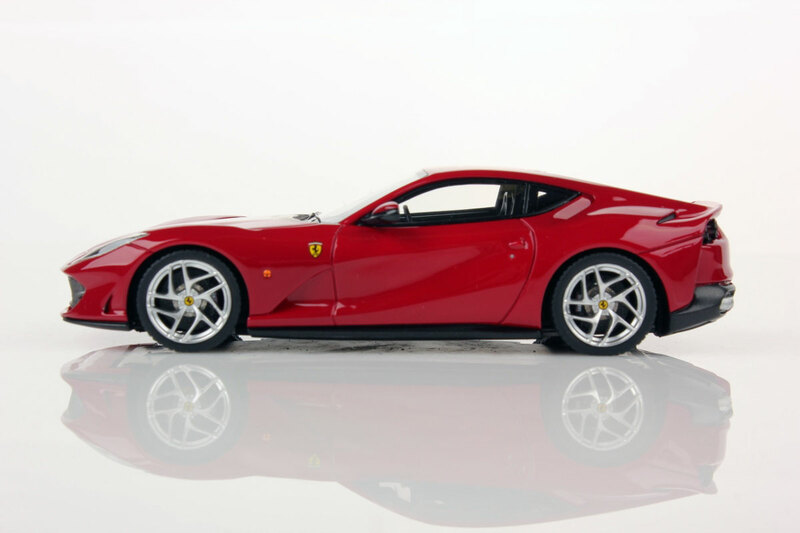 However, if what’s being said about the 812 being the last NA 12-pot Ferrari is true, buying one new could — almost — be considered a worthwhile investment. Great looming wings hung off the back of a car make a visual statement, but it’s 2017, and we now know there’s a whole lot more to making a car stick than adding a rear airfoil. 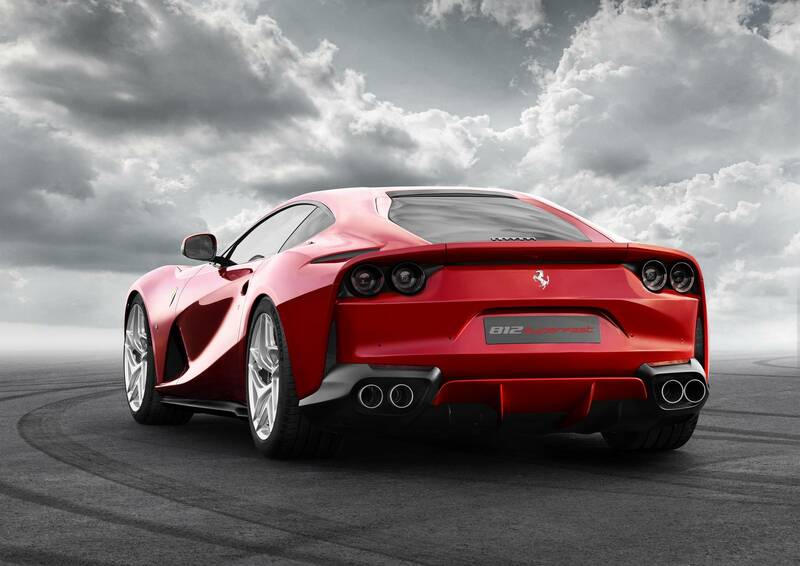 The Superfast features an “aerodynamic bypass” in the rear fenders. When you miss that corner badly and end up in the grass, this feature makes it easier for your buddies to make fun of you. In this day and age, it’s hard to imagine a supercar of this sort without countless abbreviations onboard. The significant ones for the 812 are Electric Power Steering (EPS), a system Ferrari has hesitated to employ since the industry transitioned almost ten years ago, and Side Slip Control (SSC). 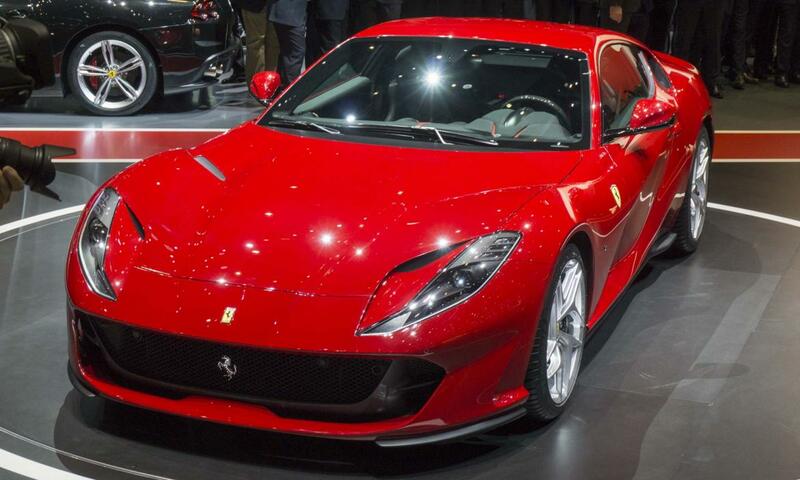 This is Ferrari’s very smart stability control system that allows you to have fun without careening into a wall. Of course, not being stupid is also always a good philosophy when there’s nearly 800 horsepower on tap. 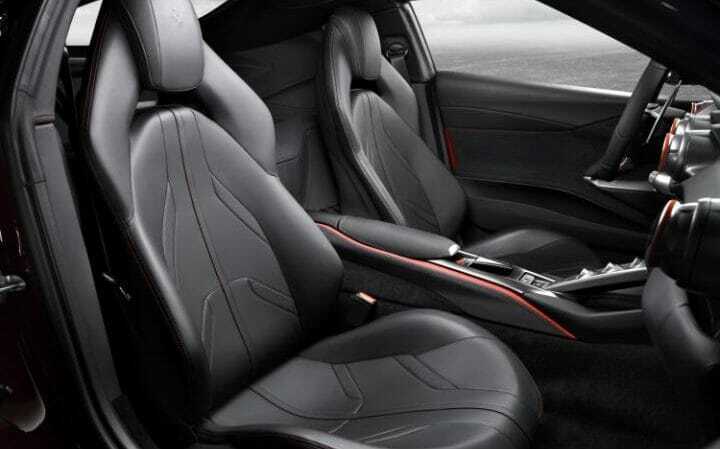 Similar to four-wheel drive, rear-wheel steering is one of those technologies you know should help performance, but until recently, reliability issues have rendered the technology more of a liability than an asset. 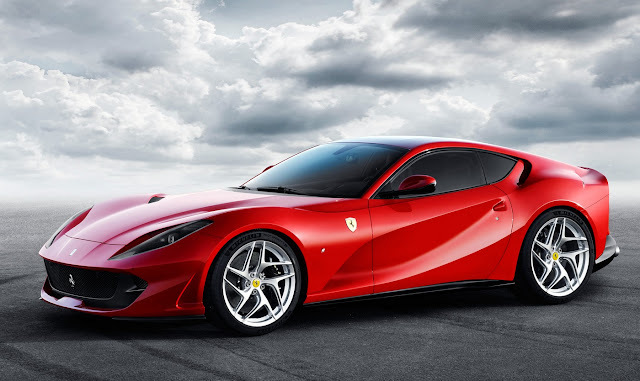 While it is a large car, the Superfast should exert itself on track in true Ferrari fashion thanks to an advanced four-wheel steering system akin to those of the Nissan GT-R and high-end Porsche cars. If it wasn’t a Ferrari, that would be surprising. The Superfast name, however, isn’t as random and awkward as, say “LaFerrari.” Top-of-the-line Ferrari GTs from the 50s and 60s wore the Superfast nomenclature — and any car good enough to command the flagship spot over the 275 GTB is worth remembering. 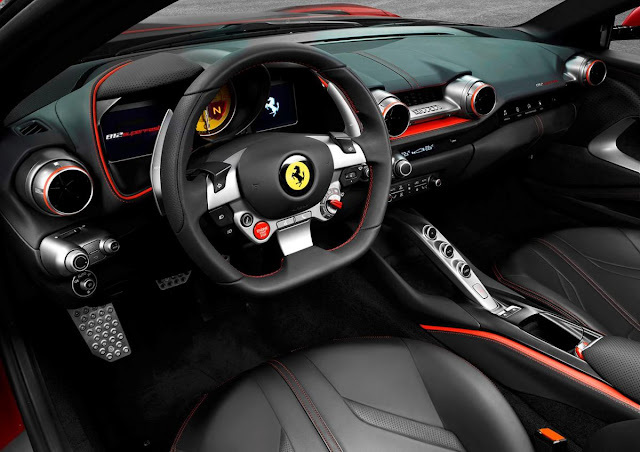 Ferraris are red. Period. You can buy them in other colors, but the quintessential Scuderia can only be one color. 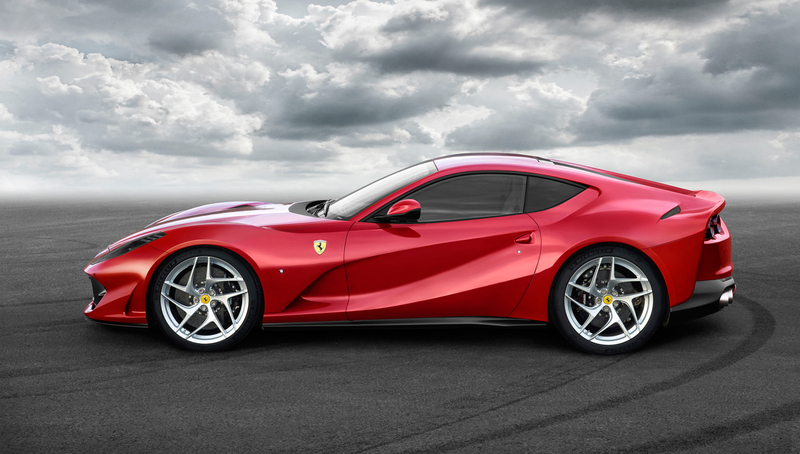 The 812 Superfast is being introduced as a 70th anniversary celebration of the brand Enzo built, so it gets a particularly special hue, “Rosso Settanta,” or Red Seventy. 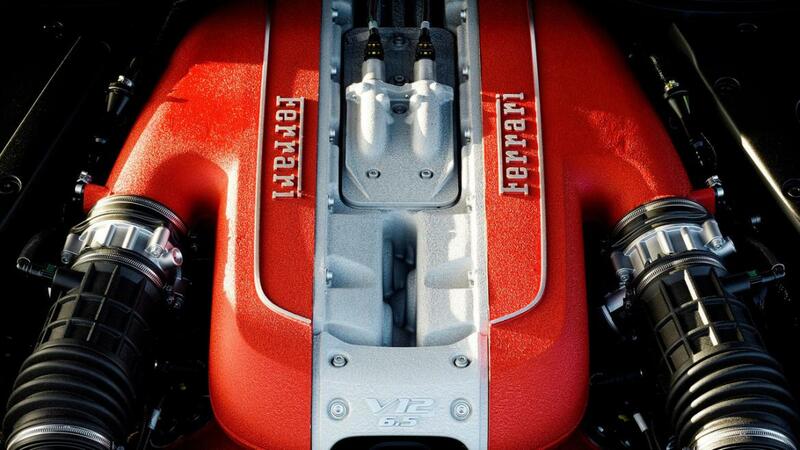 Since the post-war years, the atmospheric V12 has represented the pinnacle of motoring refinement. With tighter emissions laws making it more and more difficult for Ferrari and other exotic brands to build these amazing power plants, though, the Superfast could realistically be the last production car from Maranello to deliver the sumptuous, linear power and wail only an NA V12 can. 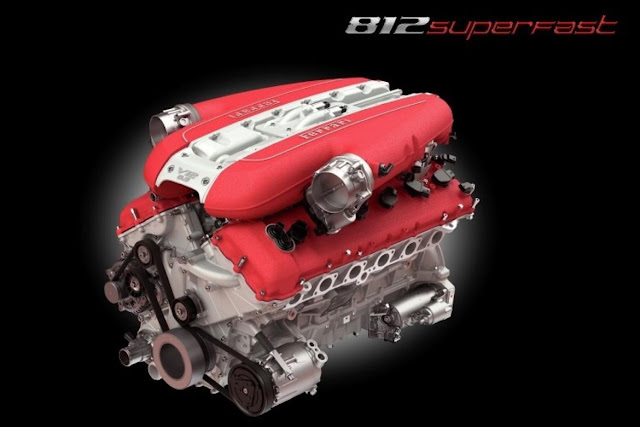 Did we mention it makes 790 horsepower?